Spirituality has a living relevance to youth because it will help them to realise their highest potential and attain the highest fulfillment. The secular and scientific paradigms of thought views the human being as an ego. But in the spiritual paradigm ego is not our true and highest self; ego is only a small, limited and ignorant expression of our true spiritual self which is beyond our mind and ego, which is universal and infinite and the home of our highest perfection. This spiritual self is the source of all our higher aspiration for truth, beauty, goodness, harmony, perfection, unity. When we are young we are idealistic and aspire for all these ideals but we do not know what is the right path to these ideal. Only spirituality holds the secret for realising all these ideals, not as abstraction, but as experiential realities of consciousness. This brings us to the meaning of spirituality. In the popular conception spirituality is associated with life-denying asceticism and the traditional cross-legged and close-eyed “Meditation.” But Meditation is only one aspect of spirituality. True spirituality can help us to realise our highest potential in and through our work and life, with or without meditation. This integral vision views spirituality not as something distinct or separate from the mundane or secular life, but as the highest self of life where life as a whole is transformed into something beautiful and harmonious; where we feel our unity and harmony with all humanity and Nature, as a part of our own self, as concretely as we feel our body as own self. When young people turn to spirituality they tend to seek for the spiritual truth in religion. But true spirituality is very different from the traditional and dogmatic religion. The word “religion” is derived from a latin word which means “to return”. So religion in its essence a quest for and return to the spiritual source of our being and the universe from which we seem to have somehow strayed away. The spiritual source of all major world-religions is a spiritual intuition, experience and realization of this divine source of our being, revealed to a prophet or sages, which was passed on to their immediate disciples and later written down or codified in a Book. The popular religion is a further dilution of the original spiritual inspiration into fixed belief and dogma, derived from the scripture, organized into ritual and custom, church and the priest. This popular religion is satisfied with an idea and belief and an external piety. The path of spirituality goes back to the original meaning of religion—return to the divine source of our being. But unlike popular religion it is not satisfied with belief and dogma. It aims at a direct, experiential contact or union with the divine source of our being. Thus the difference between popular religion and spirituality is like that of looking at a photo or caricature of a person and coming into direct contact with him and embracing him! Another frequently asked question by youth is the scientific basis of spirituality. Is spirituality scientific? Spirituality in its methodologies uses more or less the same approach of modern science. Science is not based on belief but on knowledge, a rational understanding of the laws of Nature, and applying these laws for harnessing the forces of Nature for the material, economic and social development of humanity. Science proceeds by unbiased and objective observation of Nature, (within the bounds of the Hseinbeg’s principle!) rational analysis of the data obtained through observation, forming the hypothesis and testing it by experimentation. The eastern spiritual path follows more or less a similar approach. Just like the scientist or technologists tries to understand, apply and harness the forces of Nature for the development of the outer life, the spiritual man and the yogi tries to understand, apply and harness the laws and forces of our inner nature or consciousness for inner psychological and spiritual development of our soul. A similar question asked by many young people is on the rational basis of spirituality. 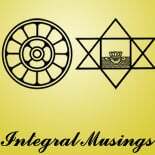 Is spirituality based on reason? As we have indicated earlier, spirituality is in its essence an intuitive quest for a suprarational Reality. So spirituality depends mainly on Intuition. Spirituality is an intuitive psychological science which explores the inner being of man or in other words, a Science of Consciousness. This doesn’t mean spirituality rejects reason. Though supra-rational intuition is the main power of spirituality, it uses reason with a clear understanding of its role as well as its limitations in the spiritual path. In fact; unlike Science, which relies solely on Reason, spirituality uses every faculty and power in man—intuition, reason, emotion, will and the faculties of action—in its quest for truth. Until the higher spiritual intuition is fully developed, established and normalised the spiritual seeker uses mainly two faculties: Budhi and Shradha, a purified intelligent will and a spiritual faith. Buddhi is a wider and a more comprehensive faculty than scientific or logical Reason. It is at once an intellectual, ethical and aesthetic intelligence or reason with an insight into and sensitivity for higher values like truth, beauty and goodness. The role of Buddhi in the spiritual path is to first, check, control and purify the infrarational parts of our being; second, to channelize whatever higher intuition or inspiration we receive from the suprarational layers of consciousness into all the members of our lower human nature. The other power of spirituality is a spiritual faith, Shraddha. As we have explained earlier, this deeper faith is not belief but the intuition of our unmanifest spiritual potential. We are now in a better position to understand why spirituality is so important for the youth. It is the only path which provides a scientific, methodical and experimental approach to realise our highest, integral and total potential as human beings. That’s true. The youth needs to explore spirituality. The current world situation, where capitalism rules and maximum profit is the only real principle that drives the world, where the rich are getting ever richer and the poor are dying of hunger and the middle classes are busy slaving away at jobs they hate to buy stuff they don’t need, where honesty is the best policy only for children, idealists and fools (sorry for the redundancy), where hypocrisy is the norm and what you say and what you mean is not the same thing, the whole situation comes down to one simple idea; the idea of materialism, that we are just this body, that we are our ego, that we’ll die in a few years and then our lives will be meaningless. This idea of materialism was proposed by pessimistic philosophers who stood on the shoulders of scientists and proclaimed that rationality is materialistic and everything else is irrational and mystical. The only way to save the world is for people to realise that life is more meaningful than just a random accident. That we have a purpose here and that we are all united. We are all the same thing. We are the universe itself. This entry was posted on January 20, 2014 by integralmusings in Religion, Spirituality & Philosophy.